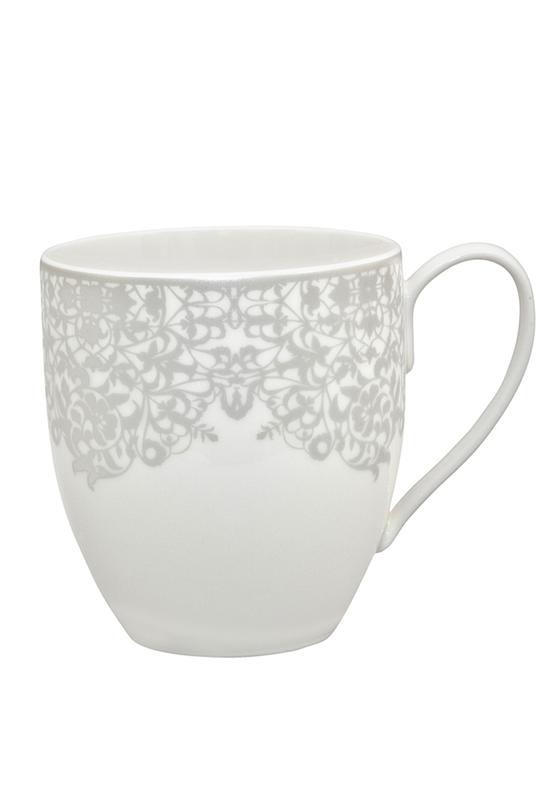 An elegant mug from the filigree collection from Denby that would make the perfect addition to any home. You will be enjoying your morning coffee in a stylish mug. A great size with a medium sized side handle. 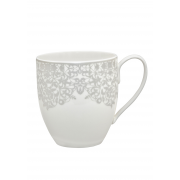 This fine china mug comes in a cream colour with a silver design.